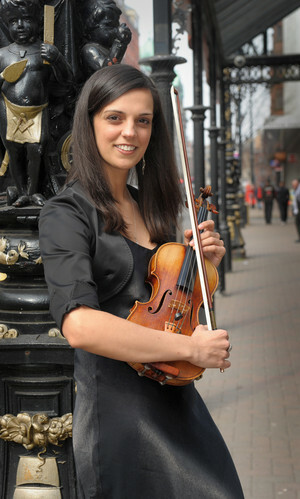 Mireia joined the violin section of Ulster Orchestra in 2010, where she works full-time alongside international professional musicians. Originally from Spain, Mireia completed her violin studies in Barcelona and the Royal College of Music in London. While freelancing in London, she worked as co-leader of the Southbank Sinfonia, where she had the opportunity to work alongside the players of the Academy of Saint Martin in the Fields, the Royal Opera House Orchestra and the BBC Concert Orchestra. Mireia has an enthusiastic approach to violin education and is qualified in Suzuki method. She loves teaching her young students in the Ulster College of Music on Saturday mornings and being involved in workshops by the Education Department of the Ulster Orchestra.